Avenger Bird’s name and game icon might make it seem like it is some type of Flappy Bird clone but is actually an old school platformer. With 8-bit pixelated graphics, it sort of looks and plays like Mutant Mudds only with much floatier jumps. Playing as a bird trying to rescue a few baby birds, the player must flap and jump from one side of the stage to the end while avoiding typical traps and enemies. The gimmick behind Avenger Bird are the loose and slow jumps. 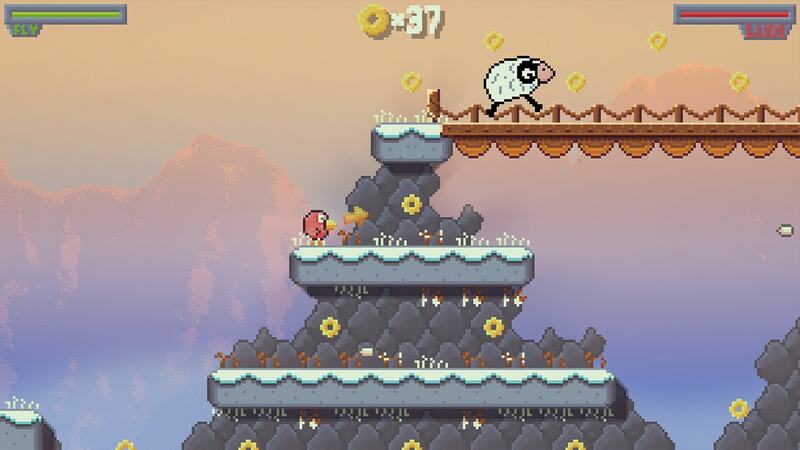 The playable bird has the ability to jump and “glide” for a short amount of time. Unfortunately, most of the stages do not fully accommodate for these slow maneuvers, making many stages drag on longer than they need to be. Instead of short hoping over a platform, the bird always has to jump high, then slowly wait to fall back down. While I am a fan of platformers, jumping, double jumps, and wall jumps, Avenger Bird just doesn’t exactly hit the nail on the head. While still playable, it could benefit from being tighter. Unfortunately, there are a few other elements that lack a sense of polish such as the blurry visuals (the main menu screen looks like a low res jpg), some uninspired level design, and the game has limited animations. The lack of overall movement is also misleading as hazards, such as the spikey bramble weeds, just look like any other part of the environment. Luckily, there are checkpoints in each stage which eases the pain of losing a life to something you didn’t think was interactive. 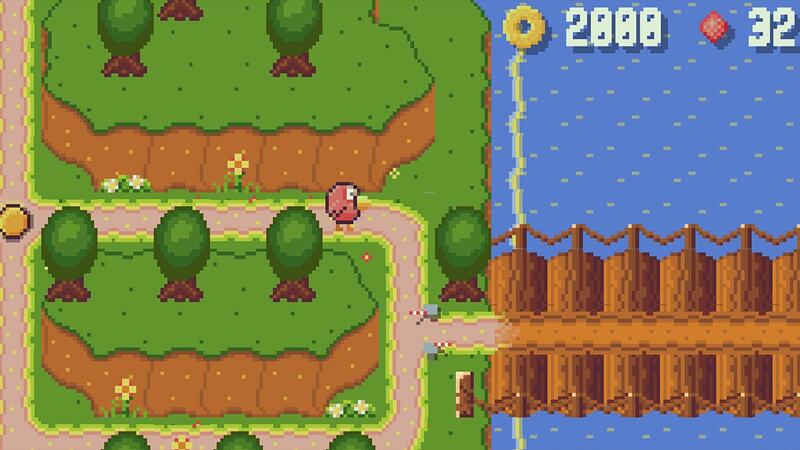 Avenger Bird ultimately winds up being a slow-paced collectathon; each stage has numerous coins to collect along with a hidden red gem although the payout for collecting is unknown. While it is not the worst platformer out there, it perhaps functions best for young gamers and for the casual gamer looking to try something slightly different, methodical, and laid back for a low cost. Tags: Avenger Bird, Featured, review, Switch, TiliaSoft, Ultimate Games S.A.